To say farewell to summer I thought I would share delicious lemon bars at a family picnic I was at this past weekend. I say its like eating sunshine hehe. So this recipe has been family approved especially for the people in Alan's family. Mix flour, butter and powdered sugar. Press in ungreased square pan, 8x8x2 or 9x9x2 inches, building up 1/2-inch edges. Bake crust alone for 20 minutes. Wile you are baking the crust beat granulated sugar, lemon peel, lemon juice, baking powder, salt and eggs with electric mixer on high speed about 3 minutes or until light and fluffy. Pour the mixture over the hot crust. Bake for an additional 25 to 30 minutes or until no indentation remains when touched lightly in center. 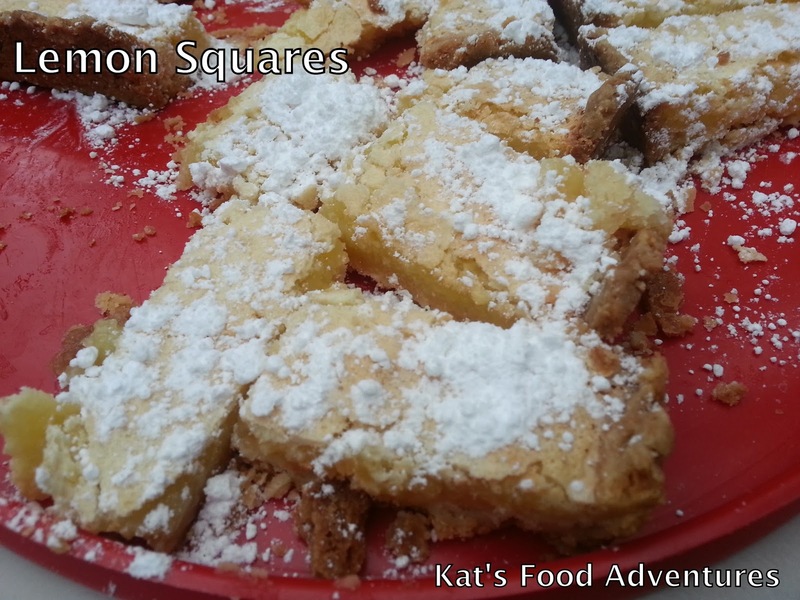 Cool then dust with powdered sugar, cut into about 1 1/2-inch squares. Serve and enjoy!